I fell in love with these striking red and white blooms on Tybee Island. 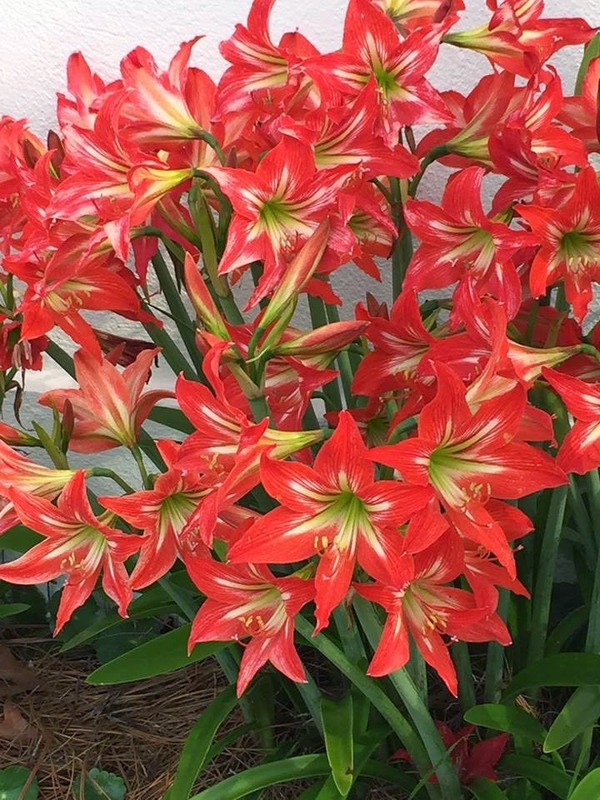 My friend Suzy helped me identify them, and they are St. Joseph’s Lily, Hardy Amaryllis, Johnson’s Amaryllis, Bouquet Amaryllis The stunning St. Joseph’s Lily (Hippeastrum x johnsonii) that is so fondly associated with many Southern gardens. I have been asked "what did you eat at Paula Deen's restaurant" and "how did you hear about Tybee Island". 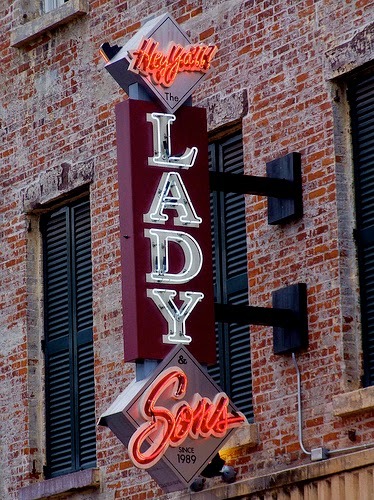 We decided to eat at Lady and Sons after touring Historic Savannah on a trolley. It was 11:15 a.m.. there weren't the usual lines going down the block, and we wanted to say we tried Southern food. Once we entered the building, it was just about filled to capacity so they asked if we would like to wait or sit at the bar. We didn't want to wait, so we chose to sit at the bar which turned out to be a good choice We mingled with the tourists at the bar, and the bar tender was very personable. We decided to try the Southern Buffet and had fried chicken, mac n' cheese, collard greens, yams, okra, hoecakes, cheese biscuits and peach cobbler. Not my typical lunch, but we enjoyed it. Our favorite restaurant on Tybee Island is Sundae Cafe. We gave it five stars. We were looking for a destination for Joe's spring break to get away from winter's chill. We hadn't taken a road trip recently, and my friend's cousin has traveled around the world, and said one of her very favorite places is Tybee Island. She told us it is beautiful, secluded, and only a 16-hour drive from Upstate NY so we decided to give it a try. I was immediately sold when I discovered that the cottages on Tybee rent for roughly half of what we had been paying to stay at a resort in Key West. We got a cozy cottage that offered us both marsh / estuarine creek and beach front environments. The beach was six blocks away and accessed by low traffic cross streets. Horsepen creek, with it's tidal marshes, was at our back door and accessed from the private floating dock. Beach combing, kayaking, boating, fishing, wildlife photography, and visiting the un-inhabited islands and beaches of Little Tybee were all at our fingertips. The cottage is about 1,000 sq/ft with two large windows allowing creek/marsh views. We didn't bring our kayaks but there was plenty of room to store and wash down kayaks, canoes, and even power boats. The back yard was enclosed with a privacy fence and we saw many bird species in the back yard, and occasionally you will see dolphins feeding right off the dock during half tide. 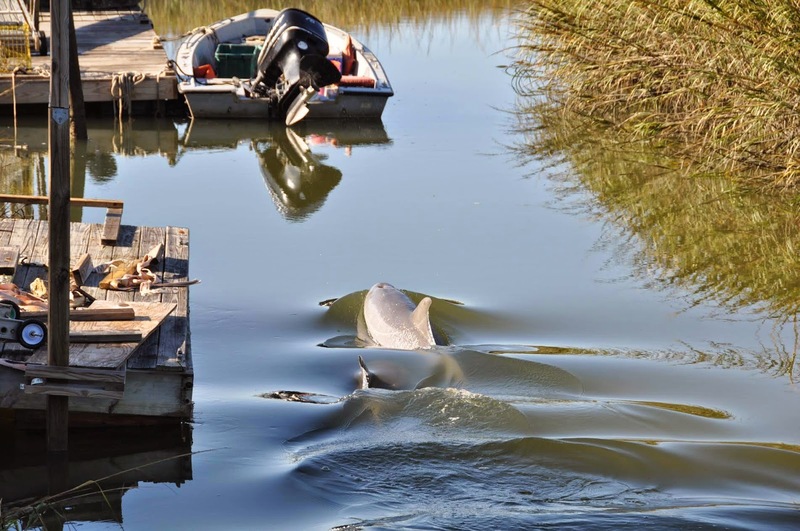 The dolphin photo was sent to me by the cottage owner, and was taken at Christmas time. I vaguely knew there were barrier islands off the coast of Georgia and the Carolinas, You have to drive through Savannah, Georgia to get to Tybee Island and what a beautiful Southern city it is. 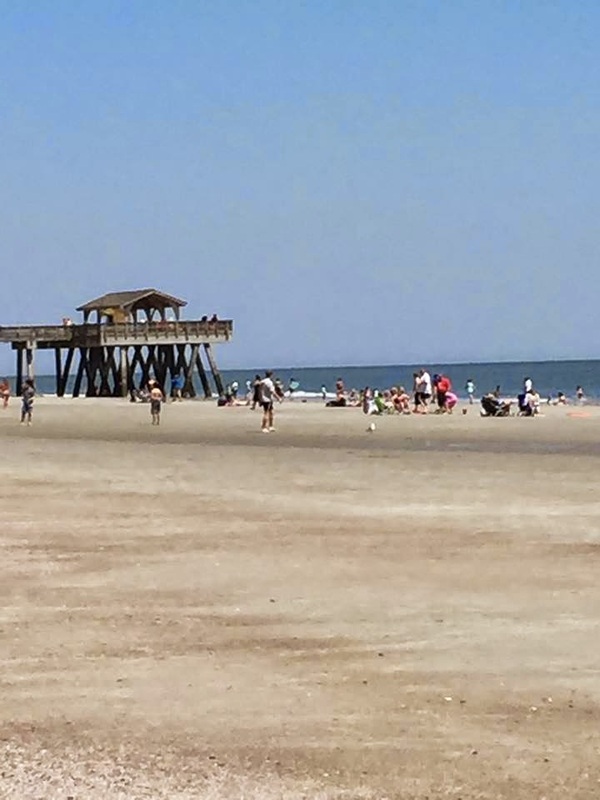 Tybee Island is actually nicknamed “Savannah’s Beach” because it’s only about 15 minutes away from Savannah; it’s very easy to take a day off from the beach and spend some time in Savannah, so we did a trolley tour and a little shopping. I couldn't resist buying handmade honey soap at Savannah Bee. Chocolat by Adam Turoni was the sweetest chocolate shop. I bought these sourwood honey filled chocolate bars. 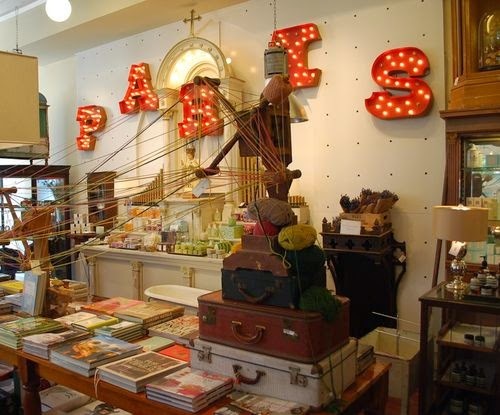 For those of you have been to Savannah, you know a trip to the Paris Market is a must. It's right near Paula Deen's restaurant, and it full of treasures. 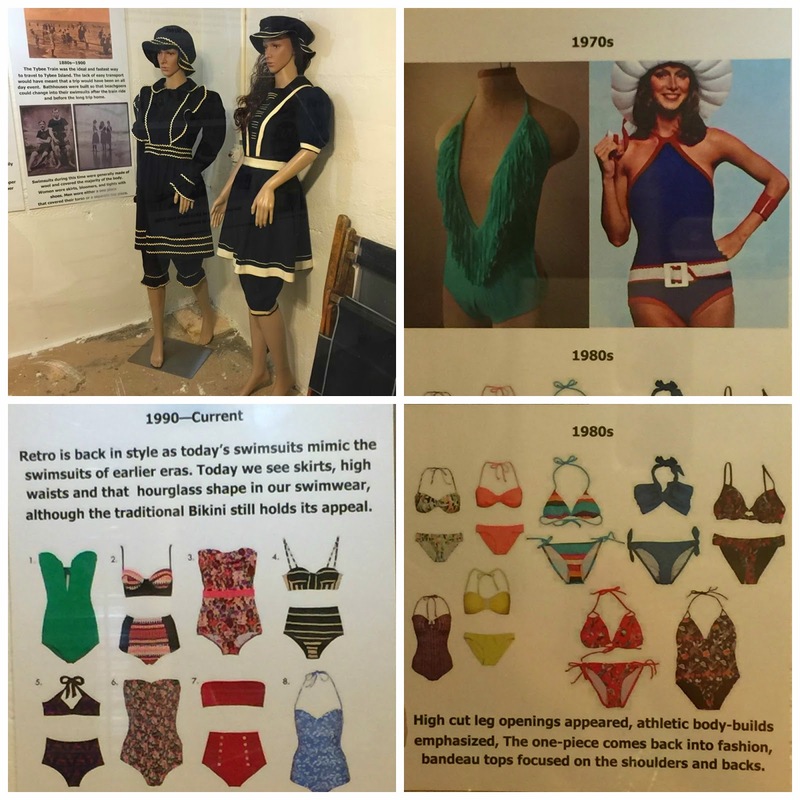 When we visited the lighthouse, there was a museum at the beach so I took photos of the wool bathing suits and did some research. Can you imagine wearing one in the hot sun? This is what I found on Victoria magazine's website. During the early 1900s, people flocked to oceanside beaches for popular seaside activities as swimming, surf bathing, and diving. The only activity for women in the ocean involved jumping through the waves while holding onto a rope attached to an off-shore buoy. Their clumsy Victorian and Edwardian style bathing suits were often quite burdensome. Women typically dressed in black, knee-length, puffed-sleeve wool dresses, often featuring a sailor collar, and worn over bloomers trimmed with ribbons and bows. The bathing suit was accessorized with long black stockings, lace-up bathing slippers, and fancy caps. The lighthouse and the surrounding buildings are perfectly restored. Prepare yourself for the 178 stairs to the top though! We took in the beautiful view of Tybee Island from the top. 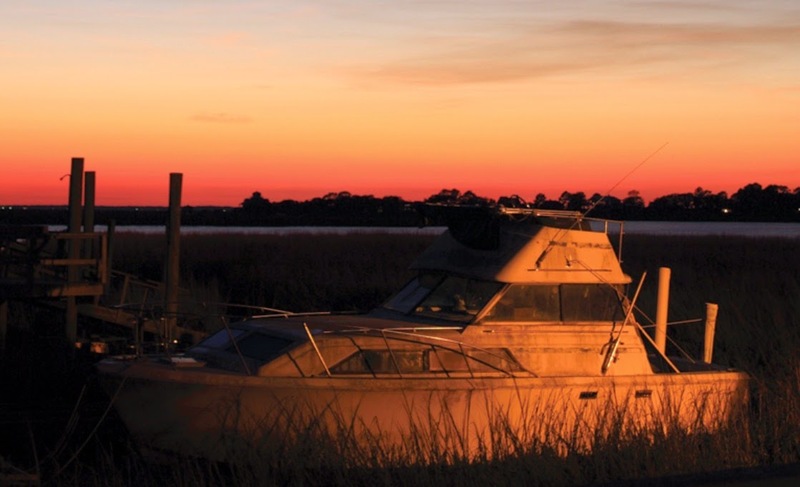 One of the reasons for Tybee’s diverse coastal marine flora and fauna is its particular location on the east coast between Cape Hatteras NC, and Cape Canaveral FL. 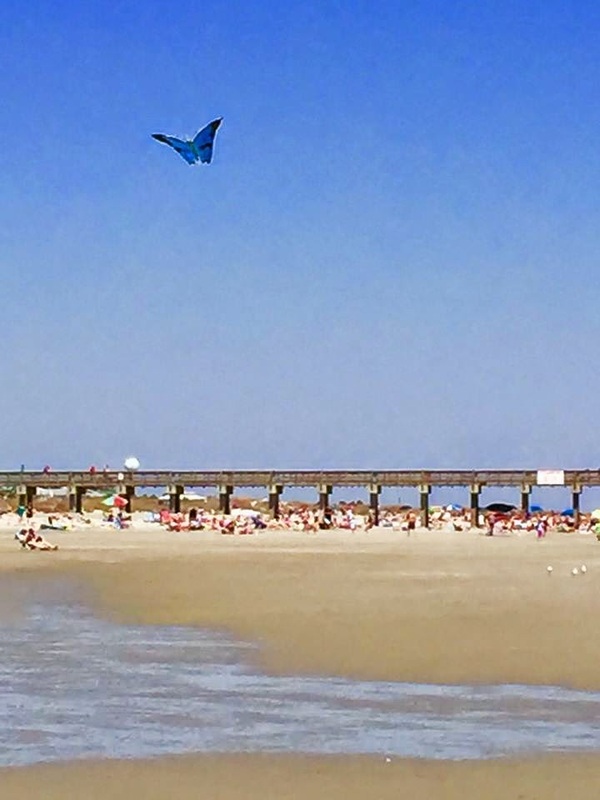 Tybee is inhabited by northern cold-water species during cooler months, and then during warmer months there are warm-water, tropical species that extend up the coast to Tybee from the south. 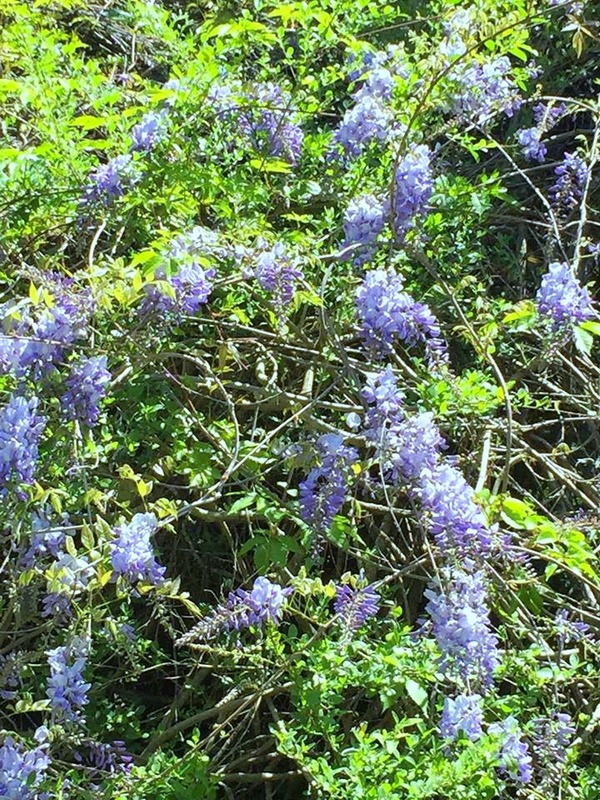 This nature girl was very happy exploring Tybee Island! We arrived home from Tybee Island just in time to host Easter dinner for my family! You made me laugh when you said not our usual lunch;)I can tell just by looking at you.. The other café..reasonable $ for lunch..Alaways good to know. In Mass..we stayed at a place Jacques hated..but I loved because it was filled with light and looked out onto a gorgeous marsh..in Craigville. I think I would have bought what you bought.. 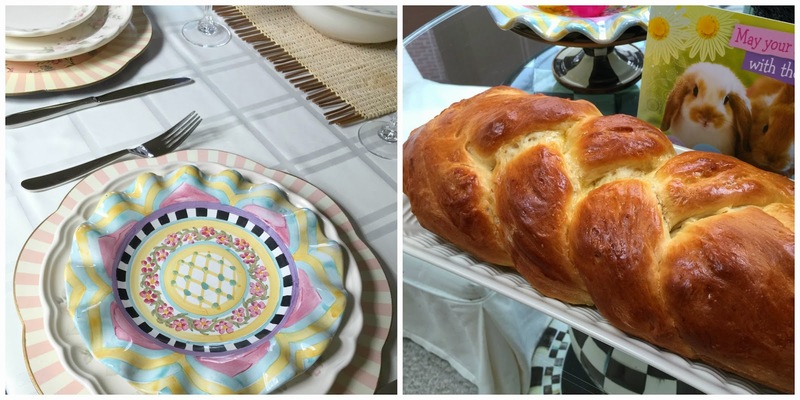 Cute setting for Easter w/your MKC. I enjoyed seeing more pics of your Tybee Island vacation, Debbie. Thanks for sharing your lunch feast at Paula Deen's. No, I'm sure that's not your usual type of meal, but fun to try! How nice that the cottages are affordable and that you could enjoy all the nature that's abounding in the area. Your purchases looked like fun treats to take home and remember your happy times. So happy that you had a great time - looks like a beautiful area to visit!